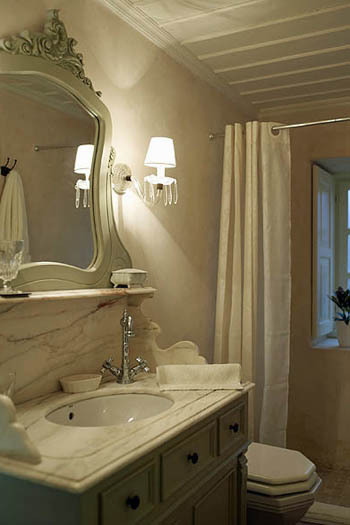 Amaryllis, a charming guesthouse in the village of Ano Pedina, is the epitome of country-style elegance. 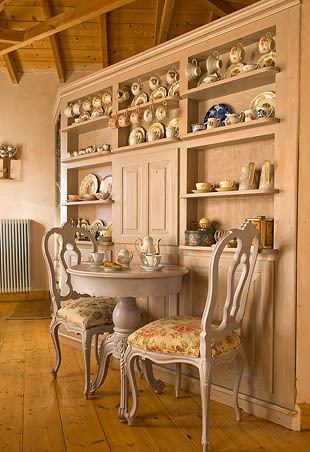 The building, a 19th century stone house, has been restored and decorated it with heaps of love and dedication. 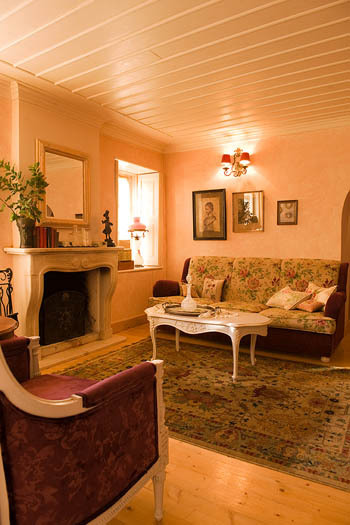 Owner Youra Boula drew inspiration from French interior decoration magazines and gave the interiors a French Provençal feeling. 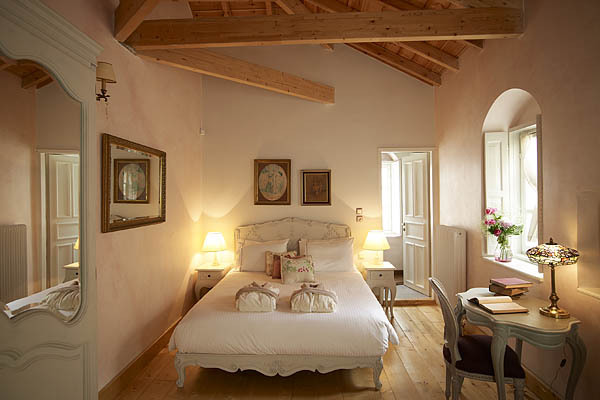 Immaculate bedrooms, three in the main house, five more in smaller houses opening directly to the courtyard, come with plank floors, wooden ceilings, walls painted in soft hues, period furniture and working fireplaces. 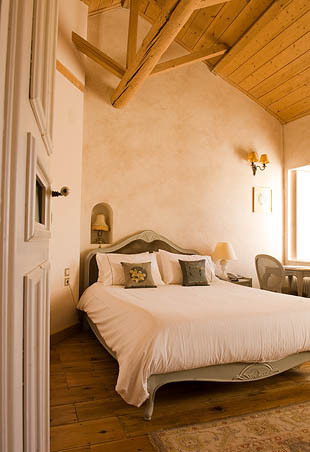 In the winter you get ample supplies of wood to burn, so at night you can light the fire and sip tisane from porcelain teacups in your room, before going to sleep in a super comfy bed (Coco-mat mattresses, down duvets, silky Guy Laroche sheets – I slept so well…). 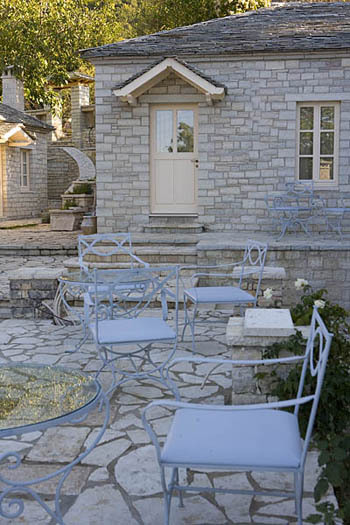 In the summer, you will sit out on the terrace and enjoy views over the mountains. 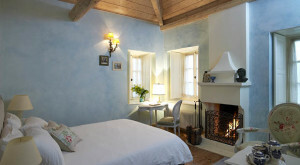 You will find the owners in the guesthouse during holidays and long weekends – they come as often as possible. A young and dedicated staff makes sure everything runs smoothly. I felt as well taken care of as the guesthouse looked. Impeccable. The style of Amaryllis really made an impression on me. Everything is done with so much care for detail and such good taste. 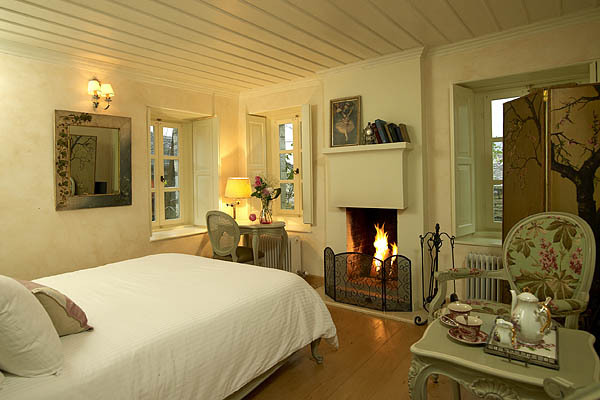 It’s just beautiful… This is a very welcoming places to stay. I warmly recommend Amaryllis for couples, but because of the style and the size of the sitting room (not very large), I don't think it is very suitable for families with children, especially in the winter. 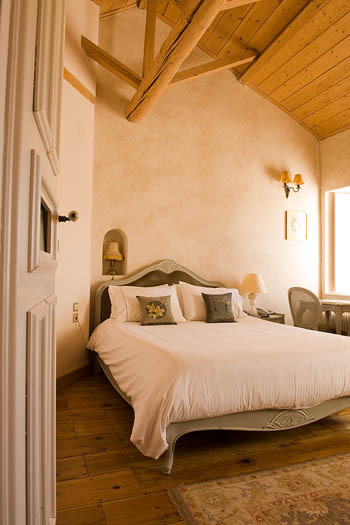 Prices for two persons from 75 Euro per night, breakfast and taxes included. 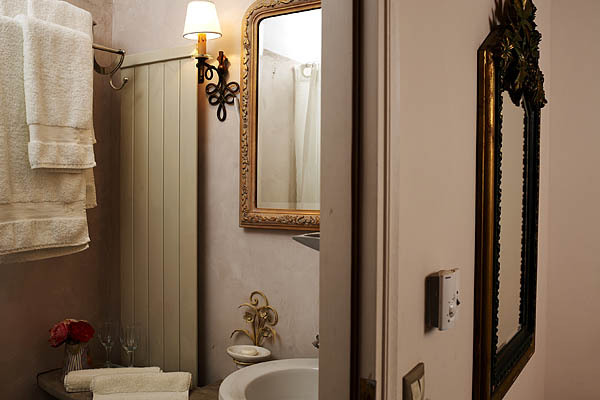 For a full overview of room rates, please contact Youla. 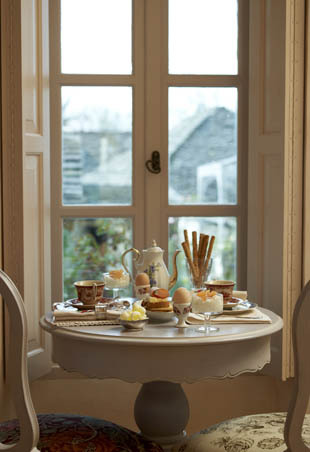 Breakfast is served from 8h30 in a small but elegant dining room, or out on the terrace. You will find tables set with delicate china and you’ll get fresh juice, bread, homemade jams, omelettes, hearty pies, cakes and yoghurt, all very delicious. 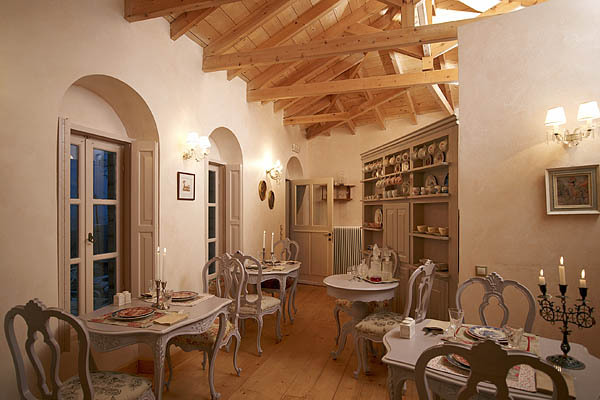 No other meals are served in the guesthouse – a pity, because with such a good breakfast you’d hope for lunch and dinner too – but there are plenty of great restaurant options in the village. I tried a fun, loungy-type restaurant just two minutes walk from the guesthouse, Dizaki it’s called, and loved it. For home-cooked food you I recommend the restaurants of Porfyron and Pirrion, and for a more refined dining experience, you go to Monopatia. 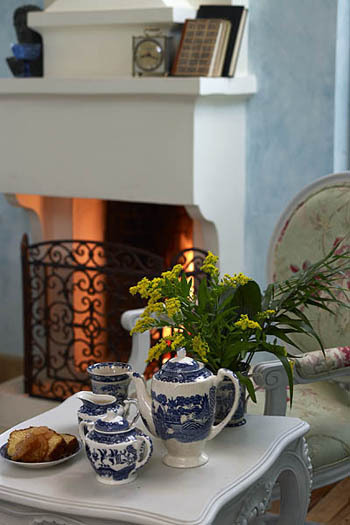 Children are welcome at Guesthouse Amaryllis, and there is a triple as well as a quadruple room and a cot is available on request. However, I don’t think it is great idea to come with young children in the winter. 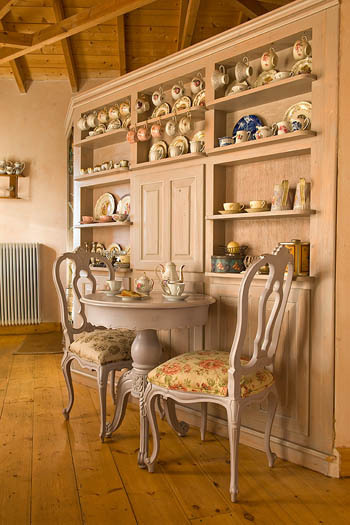 The elegant-cosy sitting room and the room where breakfast is served are not the kind of spaces where you’ll like to hang out with your little ones, unless they are very well behaved. In the summer you’ll be okay and the surroundings of Ano Pedina are wonderful if you are into outdoor activity. 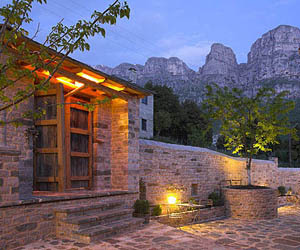 Older kids and teenagers will enjoy walking through the gorge, swimming in the rock pools in the mountains, rafting in the Voidomatis River and horseback riding. 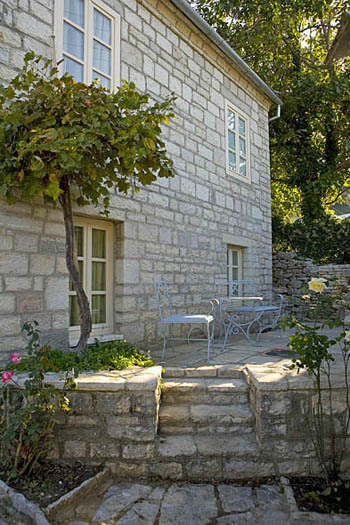 Explore local villages, rivers, old stone bridges, gorges and unspoilt nature on foot. The area is paradise for anyone who loves walking or hiking. A sufficiently detailed map and a few tips from the hotel are a good start, but for serious hikes you may want to go with a guide, especially if you want to walk to the “Drakolimni” lakes or if you want to make the one-day trek through the Vikos Gorge. If you want more action, you can also go rafting on the Voidamatos River or mountain biking. 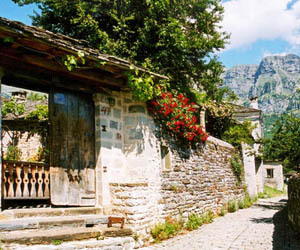 With car-free cobbled streets, centuries-old mansions, squares where can sit out and have a drink, small restaurants and shops selling traditional products, the villages in Zagori are a delight. There are over forty and you’d need days to visit them all. Make sure you don’t miss some of my favourites: Papigo, Dilofo, Koukouli and Kipi. 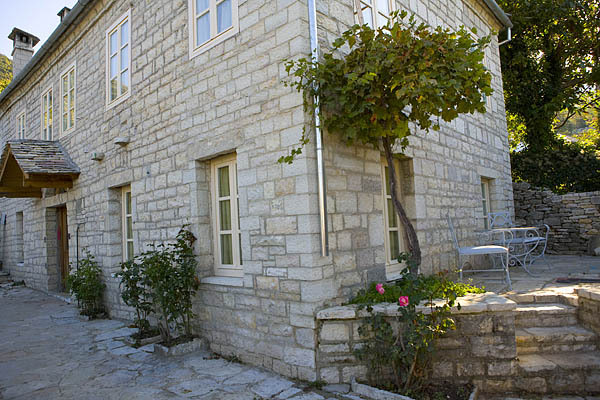 Guesthouse Amaryllis is in Ano Pedina, a pretty Zagori mountain village situated on a plateau at an altitude of nearly 1000 m. It does not attract as many visitors as some of the better-known villages in the area, and has a pleasantly laid-back, rural ambience. 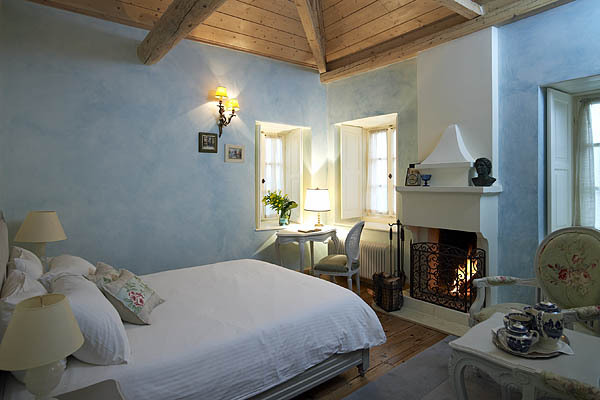 The guesthouse is in a quiet spot (not that there is any spot that is not quiet in Ano Pedina!) a bit away from the ‘centre’ of the village. You can go everywhere on foot, but to go back, the walk is uphill. 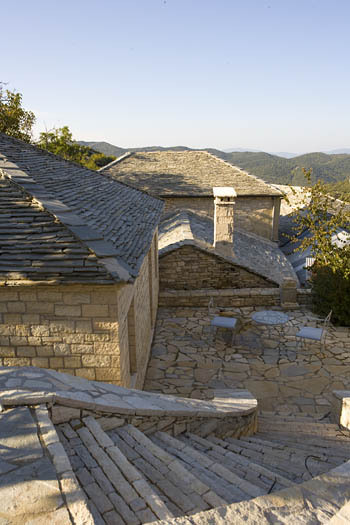 From Ioannina, take the road in the direction of the airport and then Konitsa. Turn right about 13 km after the airport towards Tsepelovo (20 m after the iron footbridge). After 11 km, rather than turning right towards Tsepelovo, continue straight in the direction of Ano Pedina. 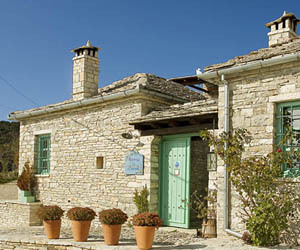 Take the road into the village; keep going straight and turn right after you see a restaurant called Dizaki (a beautifully restored stone house) on your right. 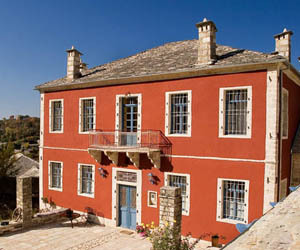 Take the narrow cobbled street uphill and you will see the guesthouse on your left. You can part a bit further up. There are no signs for the guesthouse.